ADEKS TRAVELS AND TOURS: Caprivi Wetlands Paradise Route- Visit Zambezi Today! Caprivi Wetlands Paradise Route- Visit Zambezi Today! The Caprivi Strip, now known as the Zambezi Region is a verdant paradise in the north east corner of Namibia. Katima Mulilo is the main town with Kongola, Bukalo, Linyanti and Ngoma being much smaller centres within the region. The Mafwe and Subia are two main groups in East Caprivi, where Silozi (a Zambian language) is the lingua franca and only written indigenous language of the region. In the Bwabwata National Park there are 10 villages housing a majority population of Khwe San people, part of a much larger San (or Bushmen) population that extends from Botswana to Angola. The continued residence of so many indigenous people in a state protected area is an unusual feature in Southern Africa and a testament to the Namibian government's commitment to co-management and benefit sharing. The Zambezi Region has two of the five permanently flowing rivers in Namibia (the Zambezi and the Kwando, which have their catchments in Zambia and Angola). In years of heavy rainfall, these rivers flood over an extensive area. 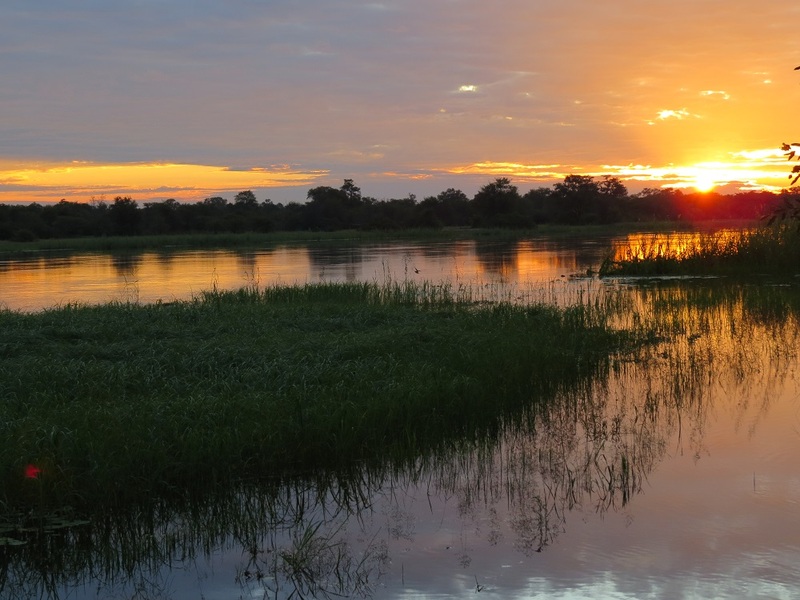 In fact up to a third of the Zambezi Region is floodplain. Two other rivers are often regarded as rivers in their own right - the Chobe and the Linyanti – but they are really extensions of the Zambezi and Kwando rivers respectively. The Zambezi Region experiences a tropical climate and during dry winter months, large populations of elephant and buffalo are known to congregate along the Kwando, Zambezi and Chobe river corridors, making this time of year good for game-viewing. Water flows in these rivers vary from year to year, depending on the rain falling in the catchments. The Caprivi Wetlands Paradise is situated in a malaria area and travellers are advised to take relevant prophylaxis, always use mosquito repellent at night and sleep under a mosquito net. The Zambezi Region is Namibia’s bird paradise. It has varied habitats including broad-leafed and acacia woodlands, mopane forests, riverine forests, grasslands and floodplains, and therefore boasts more than 400 species of birds. The eastern floodplains and grassveld are accessible by 4x4 vehicles, but only at certain times of the year (May to November). When the waters of the Zambezi and Chobe rivers are high you can visit parts of this area by contacting one of the lodges on Impalila Island or the staff from Impalila or Kasika conservancies for a local guide. There are three state-protected game reserves on the Caprivi Wetland Paradise (see map for location); the Mamili, Mudumu and the Bwabwata National Park. Here, the limited road and infrastructural development adds a sense of adventure and wilderness. In the dry season (May to November), these parks are home to large herds of migratory buffalo and elephant. Attractions in the wet season (December to April) include bird-filled pans fringed by water lilies and inhabited by hippo. Look out for the water-loving antelope – lechwe, reedbuck and waterbuck – in the floodplains. You may even see roan and sable antelope or a glimpse of the rare, semi-aquatic sitatunga found in the dense papyrus reed beds. The Bwabwata National Park is located in the 200km stretch from the Kavango River to the Kwando River. Nambwa and Bum Hill campsites are located along the Kwando River in this park and have set a precedent in Namibia by being the first conservancy-owned and -managed tourist facilities in state protected areas. Mudumu and Mamili National Parks were proclaimed at Namibia’s independence in 1990 and are located south of Kongola. Closer to Katima Mulilo town the habitat changes to mopane woodlands, where you can expect to find Arnot’s chat, white-breasted cuckooshrike and many species of woodpecker. After the rains these forests are really exciting when pools of water gather in the black, sticky cotton soils and attract numerous waterbirds, including migrants such as lesser moorhen, blacktailed godwit, great snipe and many more. About 20km east of Katima Mulilo take the Kalembeza road north towards Kalizo and Island View Lodges on the Zambezi River. You can expect to see many raptors and grassveld species in this area, including Dickinson's kestrel and yellow-throated sand grouse. On the banks of the Zambezi River between the two lodges is a breeding site for carmine bee-eaters. Thousands of these birds gather annually from September to November. Birding in and around Katima Mulilo is brilliant. One can expect to see, among many others, African finfoots, African skimmers, African fish eagles and, if you are lucky, bat hawks on the Zambezi River. Birding in the gardens of the Zambezi Fish Farm, Caprivi River Lodge and around Katima Mulilo should produce specials like the Schalow’s turaco, trumpeter hornbill, coppery sunbird, eastern nicator, eastern bearded robin, Hartlaub’s babbler and western banded snake eagle. Night specials include pennant winged nightjars, wood owls, barred owlets and three-banded coursers. As one leaves Katima Mulilo towards the west the state forests host some exciting birds too. These teak forests (Baikea plurijuga) host at least eight species of sunbird, including Shelley’s and purple banded. You may also be lucky enough to see the Stierling’s wren warbler, black-eared seed-eater (canary), broad-tailed paradise whydah and the northern grey-headed sparrow. Travelling south-west from Katima Mulilo on the gravel road (C49) to the Mamili Game Park is a 4x4 adventure of its own. The Mamili Game Park borders Botswana and is a swampland with copses of large trees. The swamplands are filled by local rains and overflow from the Linyanti River. In this special environment, birding is very exciting. You can expect to see large numbers of pygmy geese among hundreds of waterbirds. This park also hosts a few pairs of resident wattled cranes and, if you are lucky, you may get a sighting of the uncommon Denham’s bustard.